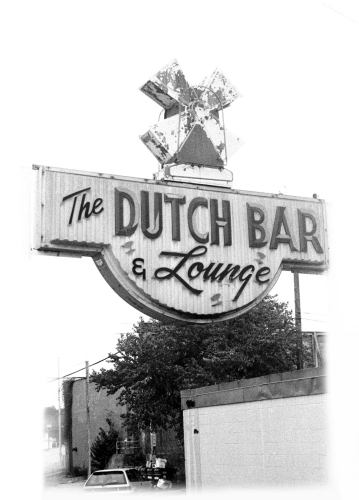 In 1952, Bobby Denton and Emry Oxford opened a place on Woodrow Wilson Avenue that they called The Dutch Bar. After several location changes, the popular hangout landed on Northview Drive in the top of Fondren. It closed in 2002 for good, but the final owner, Sidney Gunter, was the proud owner for 25 years. His widow, Dianne, says it was her late husband’s pride and joy. In high school, Sid was a Dutch Bar customer. After graduating from Central High School in 1956, he joined the Marines and was stationed at Camp Lejeune in Jacksonville, North Carolina. Dianne says he was to reenlist, but instead was honorably discharged and came home. Sid worked for Southern Air Lines, but when Delta bought them out, he quit. It was at that time he set his sights on buying The Dutch Bar. But the owners weren’t ready to sell. So Sid bought The Cherokee (at the time on North State Street) and owned it from 1971-76. Finally, The Dutch Bar came up for sale in 1977. And Sid bought it. He ran the place until his lease was no longer renewed. He always planned to open another Dutch Bar somewhere else, but Dianne says cancer slowed him down. 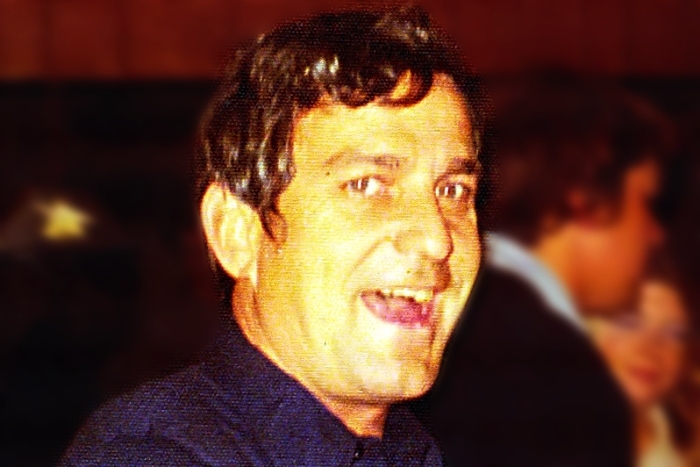 Sid passed away in 2003. Dianne remembers the whole back of the bar burning one night. Sid took it in stride. “He got a keg from Budweiser and set it up in the parking lot so people could come by and see the burned building. I always thought that was crazy,” she laughs. The Dutch Bar will never be replaced. I meet some of the best.people ther and still are good friends. Love Sid and the Dutch Bar. I worked there a while before he bought it from the Oxfords. He ran the package store out back. One New Year’s day after he bought the Dutch Bar, friends and I had a keg of beer from somewhere that didn’t work. I called Sid and he came and fixed it. Such a great guy and thanks for sharing him with us. 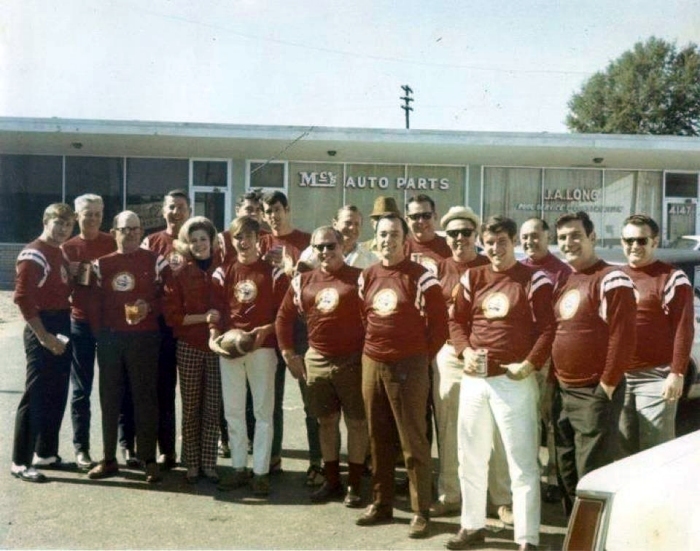 Somewhere there is a photograph of the Dutch Bar Barons, a fictional football team yet with jerseys and a schedule. Never lost a game. What a great time! Yep, it was a GREAT place! I told my wife that if she was every in any real trouble to go to the Dutch Bar or call Sid. He and all of the other people at the bar would make sure she was taken care of. Great people make a great place, and Sid was one great person. Do you know where to buy prints of The Dutch Bar as well as the Cherokee? Try Fondren Art Gallery. I know there are some beautiful Kelli Berry prints of the Cherokee for sure. I remember The Dutch Bar and Sid’s Cherokee so well. Good old days for sure! Great people and food.